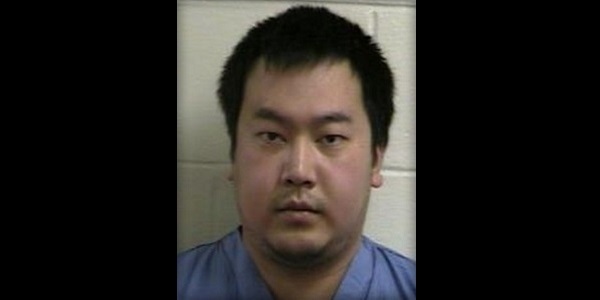 Jeffrey Yao, 23, has allegedly stabbed a woman to death in a public in a public library in Massachusetts last Saturday. The incident took place near a reading table at the library where the victim, a 22-year-old, woman was reading. Allegedly Yao, who was armed with a 10 inch hunting knife, approached the young woman and began stabbing her multiple times. The woman suffered injuries to her head and torso as a result of the attack, and died from her wounds. According to reports, the victim tried to crawl towards the door as onlookers tried to help her. One of them, a 77-year-old man was injured during the incident. The man sustained non-fatal wounds to his arm from the hunting knife. As of now, it is unclear whether Yao knew the young woman or not, and what were the motives behind the attack. The victim's identity is concealed until her family is notified of her death. Authorities are investigating the matter in order to determine the motive behind the attack, and in the meantime the suspect has been arrested and charged with armed assault and murder. Yao is being held without bail, and will appear in court on Monday. Yao is facing serious charges, and it is unclear as of now how things will end up. If found guilty, Yao will spend a considerable amount of time in jail. The criminal records of his actions will likely become public records and allow others to read them. The information found in public records is extremely important as it allows people to discover the truth about others and decide who to let into their lives and who to keep out of it. Learn more about the Kansas judicial system. Find out how the judicial system in Kansas operates! How Do Bank Loans Work: Overview of Bank Loans! What Makes a Good Relationship? Find Out!